Chinese German Chinese English Simultaneous Conference Interpreter in Germany. Bettina Hueckel has rich experience, sound professional knowledge and excellent language skills as I hold a university degree in Simultaneous Interpretation specialized in Chinese and a Master's degree in International Economics and Finance. 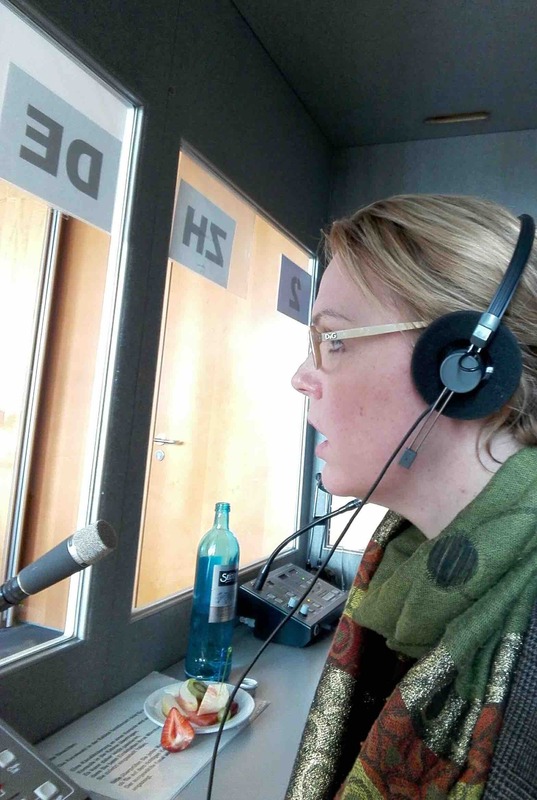 My name is Bettina Hueckel, I am a freelance conference interpreter for Mandarin Chinese in Berlin. I offer both simultaneous and consecutive interpretation services from German and English into Chinese and vice versa. My clients come from the public and private sector, such as the German Ministry of Foreign Affairs, the German Parliament, the different ministries as well as renown enterprises, amongst others from the automobile industry. I interpret on events like conferences, state visits, seminars, negotiations, press conferences and company meetings. I am fluent in Mandarin Chinese, German, English and Dutch. Born in Germany, I have studied at university and worked in England, Paris, the Netherlands and Beijing. I have worked and studied in China for five years. Except for German, my family used to speak English and Dutch at home. For the past seven years, I have been speaking Mandarin Chinese in my family. My USP is that I have completed professional interpretation training for Chinese at university: I hold a Master‘s degree in Simultaneous Interpretation for Chinese German Chinese English from Beijing Foreign Studies University, one of the top universities in China. The Graduate School of Translation and Interpretation at Beijing Foreign Studies University was established by the United Nations. I have had the honor to attend a two-year Master`s programme as the only foreigner with only Chinese students. In Germany, there is no comparable university training in interpretation. I have also worked as a teaching assistant for conference interpretation Chinese German Chinese English at Beijing Foreign Studies University. I have participated in the EU-China Managers Exchange and Training Programme, a one-year executive business training programme of the European Commission, and worked as a manager at KPMG, PwC and ING in Europe and Asia for five years. Having lived in six different European and Asian countries for 15 years – of which 5 years in China – I have developed a high degree of intercultural awareness. I am very familiar with Chinese culture as well as intercultural management and coaching– on a theoretical, scientific level as well as in everyday business life, when dealing with colleagues and clients. As I am a certified “Green Belt” myself, I am familiar with Six Sigma/Quality management.